With the upcoming holidays, it’s time to start your Christmas shopping. You need to choose the best Christmas presents for your family and friends to show them how much you love them. If you’re looking for ideas what Christmas gift to get for your best friend, we have some suggestions for you. An ideal Christmas gift for your best friend would be a colorful eye shadow palette. This way, she will have the right color eye shadow for any occasion and for every outfit in her wardrobe. You can choose palette with just eye shadows or one with lipsticks, lip glosses and blushes. With a makeup palette like that, she will be able to create any look she could think of. A makeup palette is the beauty equivalent of an expensive box of chocolates. This would make for a really cool and thoughtful Christmas gift for your best friend. Another option for a Christmas gift for your best friend is a professional hair care set. Choose the products, according to her hair type. You will definitely be able to find a set for any type of hair. This is something she will simply love. The beautiful, healthy hair is the best accessory of every woman. A professional hair care set will make sure your friend’s hair looks its best in every situation and occasion. If your best friend likes to create her own nail art designs, you can get her a nail art set as a Christmas gift. 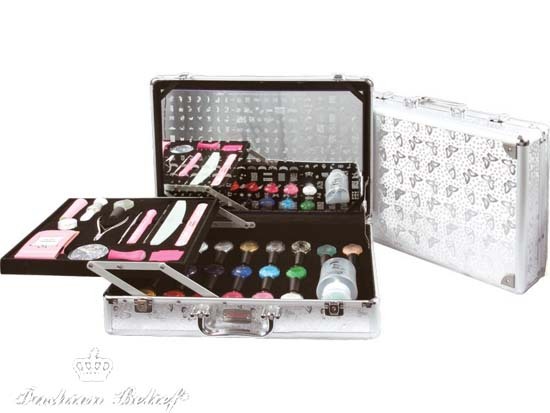 There are nail art sets with all the necessary instruments and materials to create practically any design you could think of. Choose a set with lots of different nail polishes, templates, decorations and stickers. You can add to that a CD with video tutorials for some cool nail art designs. You can also check our other Christmas gift suggestions on the web site. We would be happy if you share with us your ideas and thoughts for a Christmas gift for your best friend.